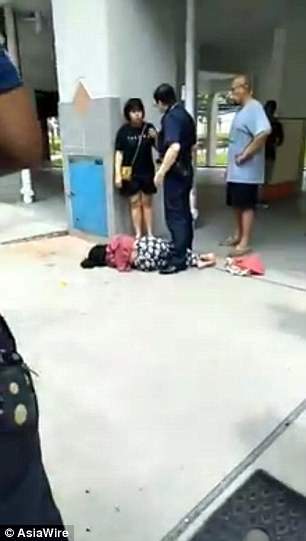 This is the moment a man in Singaporecaught a falling woman by the hair, only to drop her moments later because his hands were greasy. 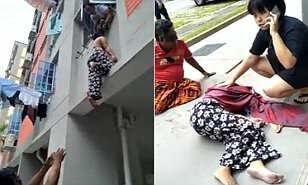 The woman, believed to be a domestic worker, was reportedly trying to fix a washing line on the third floor of the building in the town of Tampines when she fell. The man, on the second floor, saw her slip and managed to grab hold of her body by the hair, according to those who posted the footage on social media. The footage shows the man holding the woman, who was apparently unconscious, and trying to pull her to safety. He appears to be losing his grip and can be heard shouting 'I cannot stand already' as passers-by gather beneath the window. 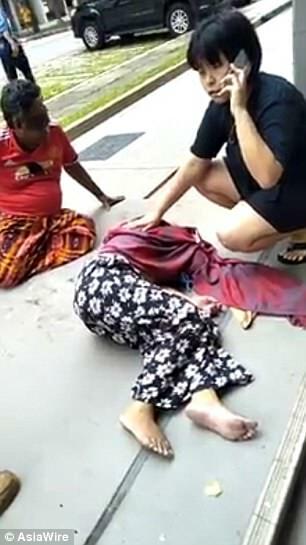 The woman can then be seen lying injured on the hard surface, after having apparently fallen, as concerned onlookers cover her with a shawl to preserve her modesty before police arrive on the scene. The man can then be heard telling friends how he tried to pull the woman up but was unsuccessful because his hands were slippery with oil because he had been eating at the time. The bizarre footage was shared on social media and quickly went viral. 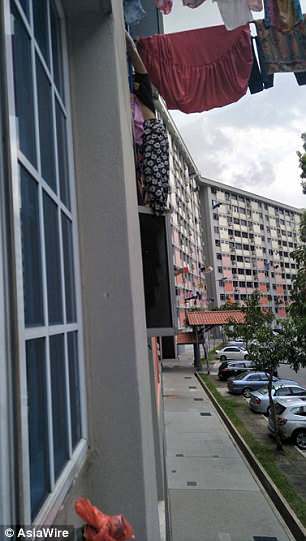 User 'Grace Mayzon' said: 'This lady was from the third floor. 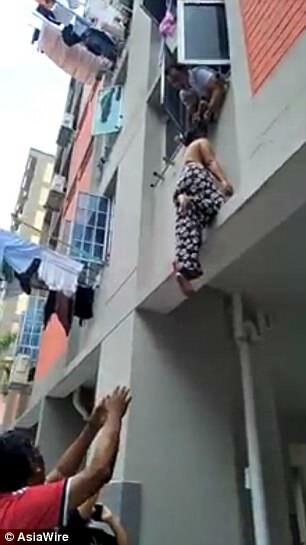 The man who was holding her was from the second floor. He said he was eating and saw legs hanging at his window. There is no further information on the condition of the woman.